Who doesn’t love cupcakes right? They are for birthdays and every day…I completely adore them! And Betty Crocker’s Party Rainbow Chip Cake Mix (sprinkles!) makes me think of birthdays. You don’t have to frost the cupcakes! Remember, birthday parties do not have to be perfect, just perfectly fun AND memorable. I’m sure you agree! Best way ever to measure oil when there’s water in your list of ingredients. I measure the water first and then measure the oil. 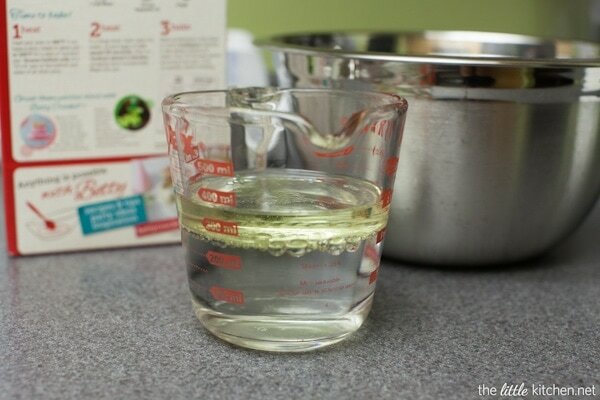 Less oil stuck in your measuring cup! 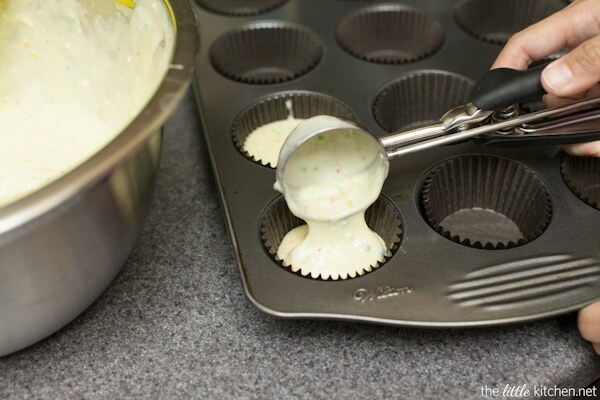 Easy, less mess way to scoop cupcakes, use a 3 Tablespoon (large) cookie scoop! 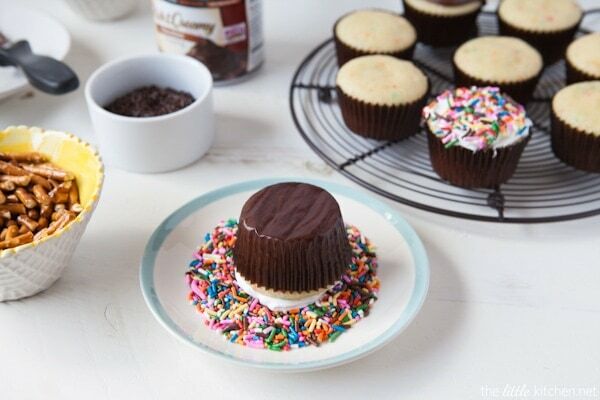 Measures each cupcake perfectly! And now you can have your party! Let me walk you through it. Some people love salty with their sweet, put some pretzels for them. You can frost the cupcakes ahead of time (depending on the age level of the party) if you want! 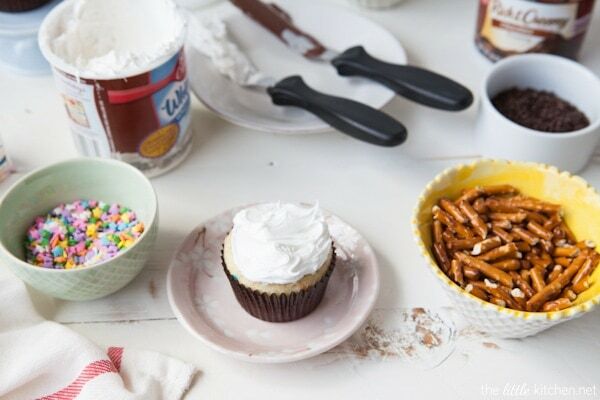 Set up plates of sprinkles for dipping cupcakes in. Set up bowls of fruit too! Here is the line up that I used. I had no idea Betty Crocker has decors that are stars! And how about the gold sugar? 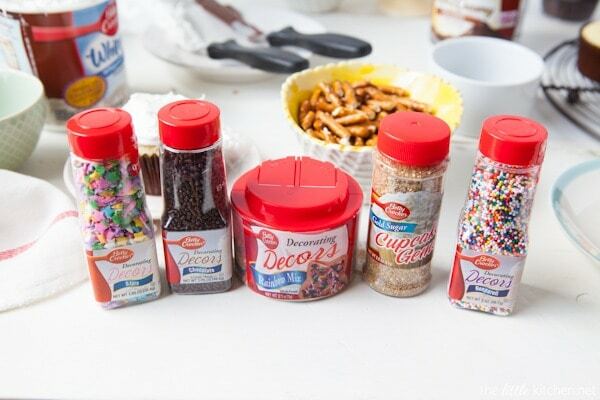 I’m so obsessed with it…you can never have TOO MANY SPRINKLES. That doesn’t exist in my book! 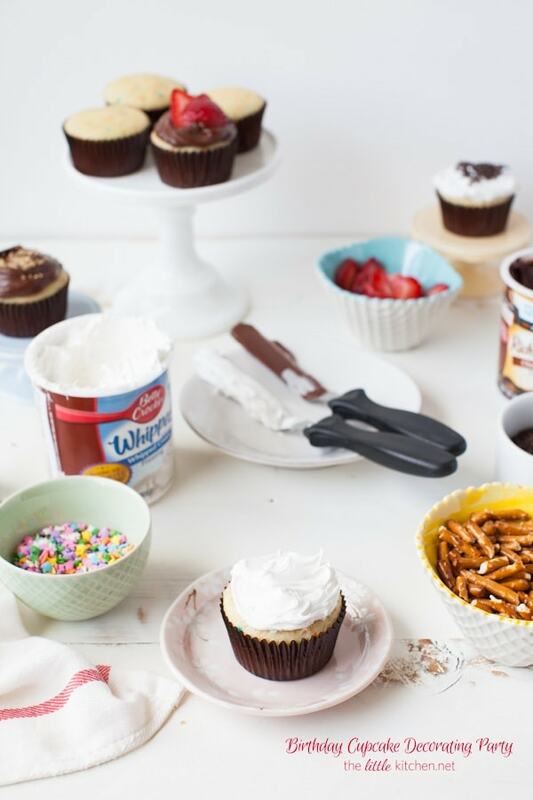 Let everyone decorate two cupcakes, eat one now and take the other one home. 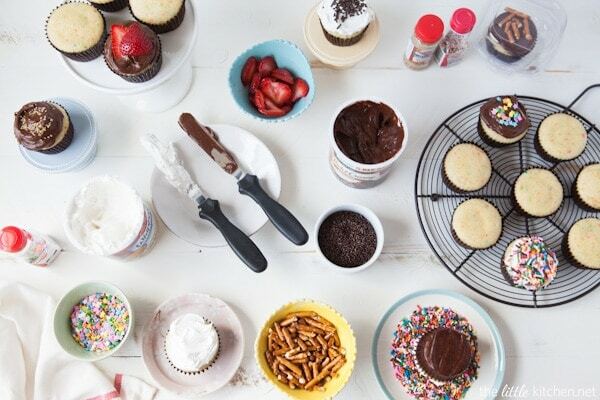 For more awesome birthday ideas, visit the Betty Crocker website and follow them on instagram! Bake cupcakes according to the instructions on the cake mix box. I used a dark (nonstick) cupcake tin, lined them with cupcake liners, baked at 325 degrees F for 14 to 15 minutes. 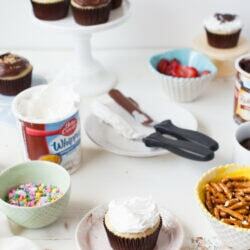 Set up table with a tablecloth (for less mess) and arrange cupcakes, sprinkles, fruit and pretzels for easy decorating. 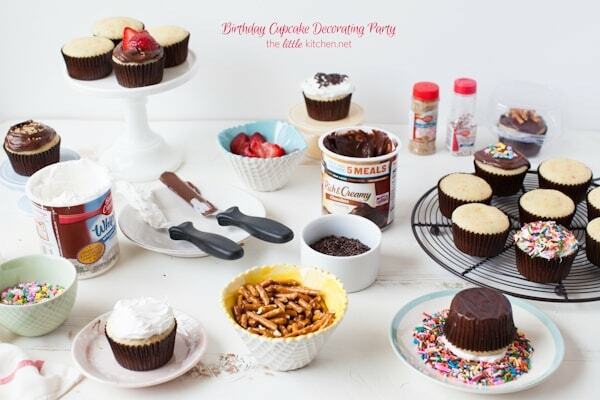 Disclosure: I’m thrilled to be working with Betty Crocker to #GetYourBettyOn! I only work with brands that I love and only share with you my honest opinions. This is a sponsored conversation written by me on behalf of Betty Crocker. The opinions and text are all mine.